It sounds like the ultimate in home luxury, the dressing room. An entire room just dedicated to clothes, where you can stand in front of a mirror and mix and match outfits. It might not be feasible in the current layout of your house if you don’t have a spare room, so your eyes are already glazing over and thinking this is irrelevant for you. Well… you could always create one. A room is ultimately defined by a wall and a door. If you have an area you could wall off, you could create a separate dressing room just from the existing rooms in your house. Obviously, you’d need the funds to do this and the help of an able builder, but it’s not a huge job that requires in-depth structural work. It might be more feasible than you think. Unless they are built-in, wardrobes are generally a nuisance. Not only can you expect to pay the best part of £200 for one that isn’t going to fall down the moment you touch it, but they’re also big, bulky, and generally a pain to deal with. They make a room look cluttered even if it’s not. 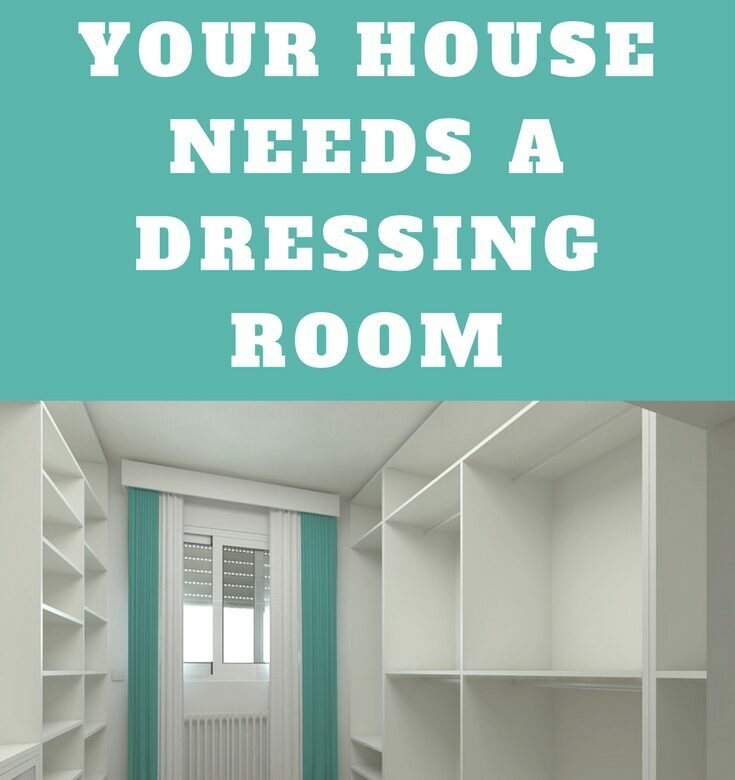 With a dressing room, the need for a wardrobe evaporates. You can use that space in your bedroom for a proper purpose, moving all of your clothes into a dedicated area. It can be a room for the entire family, too – you could each take a wall and use it for your own purposes. The idea of lining the walls of your bedroom with clothing rails isn’t very attractive if we’re honest. It’d look messy; that’s why most of us go for a wardrobe, even if we acknowledge they’re not the best pieces of furniture. But a dedicated dressing room? Well, the sole function of that room is to house clothes – so you can line the walls with as many rails as they can hold. A few shelves just off the floor and you’ve got your shoe storage, too. It doesn’t matter if it looks a bit messy, as apart from getting dressed, you’ll rarely be in there. It might sound like an exaggeration, but you could easily triple your clothing storage space just with this one alteration. Tired of going from room to room after doing the washing, dropping items off into the relevant area for each family member? Then doing the same when they’re dirty and in wash baskets? A dressing room eliminates all that. All clothes-related activities are confined to one area, so you can keep track of where everything is all the time. Who knows, it might even stop you from losing socks – though no promises on that one! You might even have to go on a few shopping trips to fill it!